When venturing in Limbo at the edge of the galaxy, scouts found a new form of energy: Titanium. First experiments showed it could push back the frontiers of technology, and even open new horizons for human capabilities. This news was more than enough to stir up the greed of humankind's greatest factions. Each has sent fleets to take over nearby planets where Titanium is abundant - and even seems to be in constant expansion. 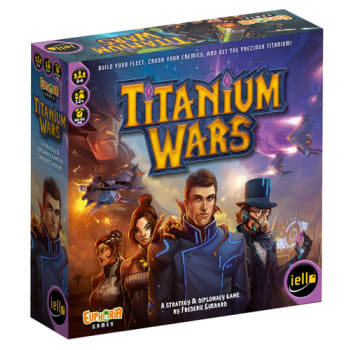 From that point on, armed conflicts were bound to happen, and this war will be settled only by controlling the Titanium deposits... As leaders of these great factions in Titanium Wars, players will expand their space empire and build their own fleet of custom battleships to defeat their opponents. They will have to prove bold, insightful and tactful if they want any chance to win this fierce war.